If Bitcoin is the digital equivalence of gold, which cryptocurrency would qualify for the honorary title of the “digital silver?” For the analysts at social investment platform eToro, the answer is Litecoin, the seventh most popular cryptocurrency measured by market cap. It adds that the relationship (in terms of market standing) between Bitcoin and Litecoin is in many ways similar to that of gold and silver. Just like silver, Litecoin is more affordable, has a larger supply and enables quicker transactions, thus proving its worth as a go-to digital token for smaller transactions. Meanwhile, like gold, Bitcoin is often preferred for large payments and store of value. Another major similarity would be that like their shiny metal counterparts, the values of both digital tokens are very much correlated as whenever Bitcoin surges, Litecoin almost always follows. The report cited multiple factors arguing that Litecoin, as its market value stands today, is actually undervalued. Besides its obvious superiority in terms of speed and affordability, Litecoin also brings a number of other benefits to the community. For example, the Litecoin network uses a scrypt dominant proof-of-work (POW) system, which is basically designed to make hardware mining specialization more difficult to achieve. Without delving into the technical nitty gritty, this scrypt-dominant POW system makes the mining network a lot more decentralized. That, in turn, makes the network somewhat less vulnerable to malicious breach attempts, including ones as severe as a 51% attack. The report then goes on suggesting that one of the primary reasons why Litecoin continues to be undervalued despite its immense potential and popularity is the level of adoption of the networks. In comparison to other popular tokens such as Bitcoin Cash, Ether Classic or Dash, Litecoin typically carries a higher number of daily active addresses for its market capitalization. It, however, urged investors to exercise precaution while buying or selling Litecoin as, despite all its brighter sides, Litecoin is still not immune from many of the drawbacks the crypto economy inherently suffers from. 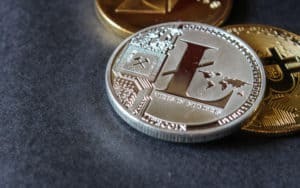 Litecoin, the “Digital Silver,” Is Actually Undervalued, Claims an eToro study was originally found on [blokt] – Blockchain, Bitcoin & Cryptocurrency News.